1 First lady Melania Trump holds a baby as she visits Greater Accra Regional Hospital in Accra, Ghana, Oct. 2, 2018. 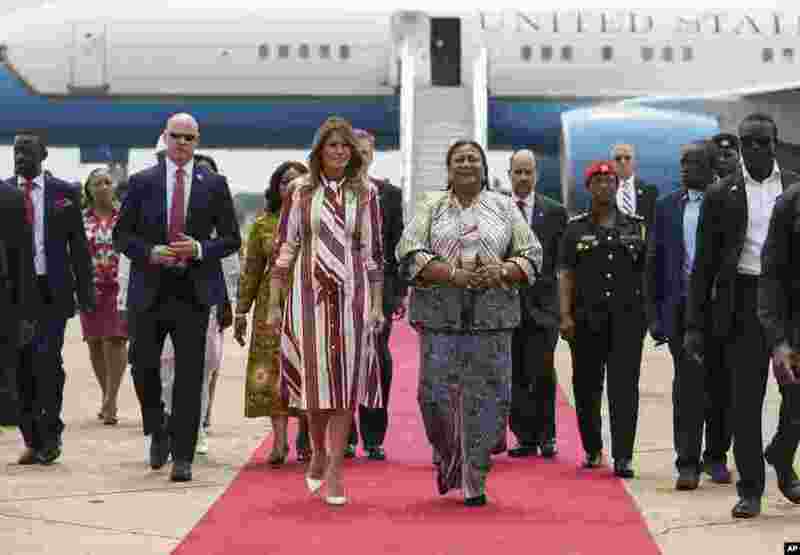 2 First lady Melania Trump walks with Ghana's first lady Rebecca Akufo-Addo as she arrives at Kotoka International Airport in Accra, Ghana, Oct. 2, 2018. 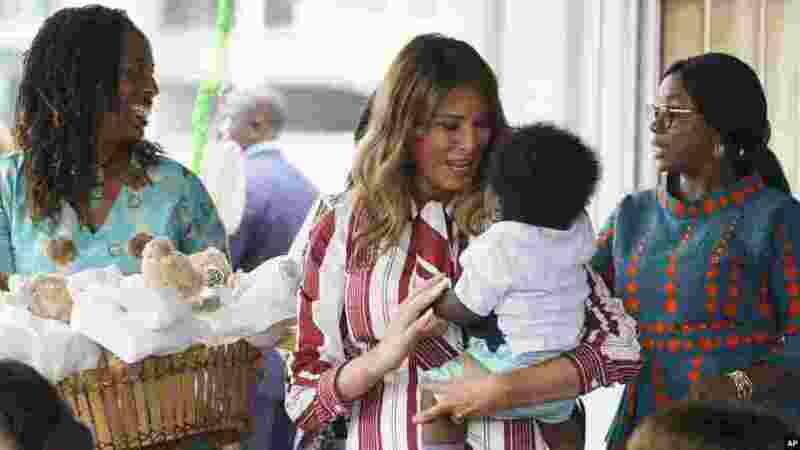 3 First lady Melania Trump hands out teddy bears to mothers and their babies at the Greater Accra Regional Hospital in Accra, Ghana, Oct. 2, 2018. 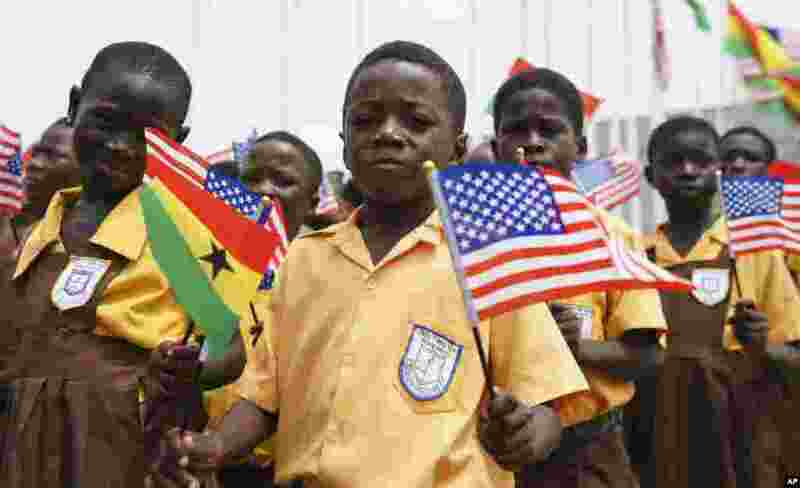 4 Children waves American and Ghana flags during an arrival ceremony for First lady Melania Trump at Kotoka International Airport in Accra, Ghana, Oct. 2, 2018.